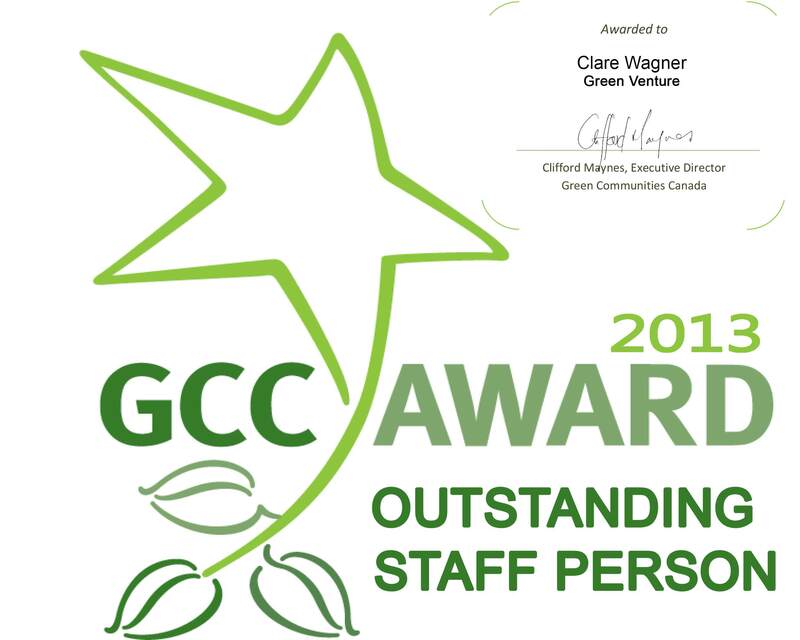 Green Venture representatives receive national awards! 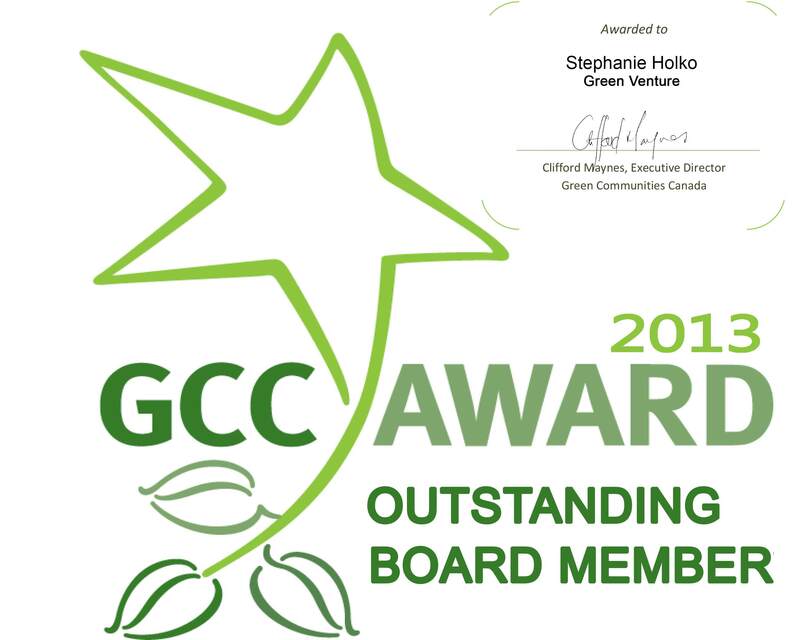 Green Venture’s Stephanie Holko received the 2013 Outstanding Board Member, and Clare Wagner the 2013 Outstanding Staff Person award in recognition of their hard work in the service of the environment and the City of Hamilton. Maynes noted that it is far from easy to maintain and grow an organization like Green Venture, with its excellent programs and partnerships (see www.greenventure.ca to learn more). “It takes determination, entrepreneurship, and constant innovation,” he said. For more information, contact Clifford Maynes, Executive Director at cmaynes@greencommunitiescanada.org or 705-745-7479 x 118.